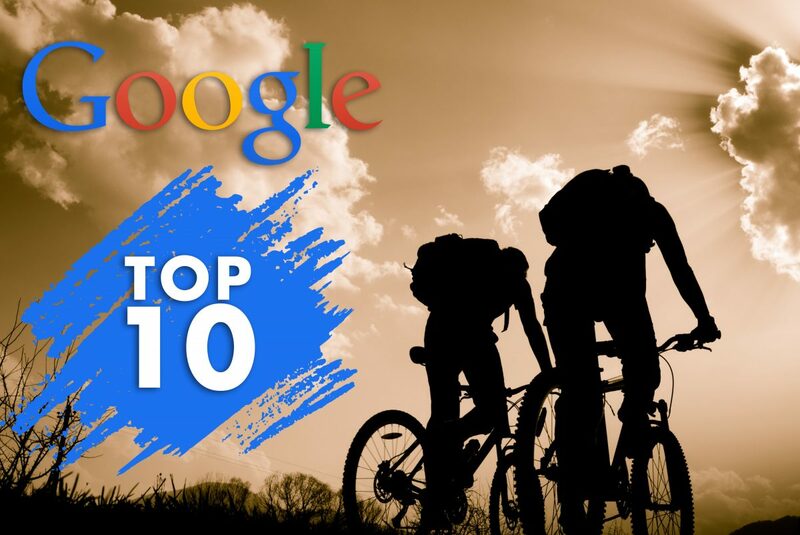 Top 10 Questions YOU ASK GOOGLE about cycling, Answered! Mr Google processes over 40,000 search queries every single second of the day. Many of these searches have a ‘?’ associated with them and many cyclists or people looking to get into riding a bike turn to Google every day with an array of questions about the humble bicycle. Considering the growth of cycling and internet use, we thought it would be an interesting scenario to assess Google’s analytics and obtain the top 10 questions people ask Google about cycling. How did we go about this? We typed into Google’s search engine things like “riding a bike” “bike riding” “cycling” etc. We then let Google do the work, providing “popular questions” and “people also ask” suggestions. 1/ Is it illegal to ride a bike drunk? While I say ‘no particular order’ above, this one was perhaps the most prevalent “people also ask” question in the Google search. An interesting observation to why some people are considering to ride a bike! Here in Australia the laws are state driven and vary quite significantly depending on your geography. In Victoria the rules seem a little backwards. Firstly, it’s not legal for an officer to even breath test a cyclist. The only way law enforcement can find out if you’ve been drinking would be if you had an accident and ended up in hospital where you’d have your blood tested. The Victorian laws are also expectionally outdated when it comes to riding a bike drunk. The infringement – assuming you’ve stacked it hard and ended up in hospital – is considered to be ‘drunk in front of carriage’, dating back to horse and cart days. No joke! The fine limit appears to be around $1,500 (max) with up to 2 months in prision. In South Australia, on the other hand, the same rules apply as if you were driving a car. This kinda sounds more like it. However, take yourself to the Northern Territory and you can get as wasted as you like without penalty. The only way you may get convicted is if you’re dangering other people or doing something completely wreckless where the authorities have rights to arrest you. All other states align to a drink driving offense although the penalties and fines differ. Queensland is the harshest of states with fines over $4,000 and close to 12 months in prison, pending your circumstance. All in all, our recommendation at Bike Chaser is don’t do it at all! Here’s to either not drinking and riding or moving to the Northern Territory. Oh wait – you can probably get away with it in Victoria if you don’t nail yourself and end up in hospital where someone will test your blood. 2/ What are the benefits and tips of riding your bike to work? Leave a bit earlier to avoid traffic – if you’re commuting or looking for a recreational ride during the week – and take the road less travelled. If commuting to work you should use the bike path if one is available during peak hour traffic. If you’re in a busy area always be conscious of parked cars by looking in side mirrors to ensure doors aren’t being opened as you ride past. “Always be scanning”, says Lee Turner. According to Lee Turner it can be quicker – particularly in heavily populated cities – it’s cheaper, it’s better for the environment, and you’ve got a 100% better chance of coming home from work in a better mood. Health benefits should be obvious but it’s always good to have recent statistical evidence to demonstrate the facts through real life studies. Check out a recent study conducted in the UK here. In this particular study they found that cycling to work was associated with a 41% lower risk of dying overall compared to commuting by car or public transport. That is a massive number right there. Commuters that ride bikes also had a 52% lower risk of dying from heart disease and a 40% lower risk of dying from cancer. 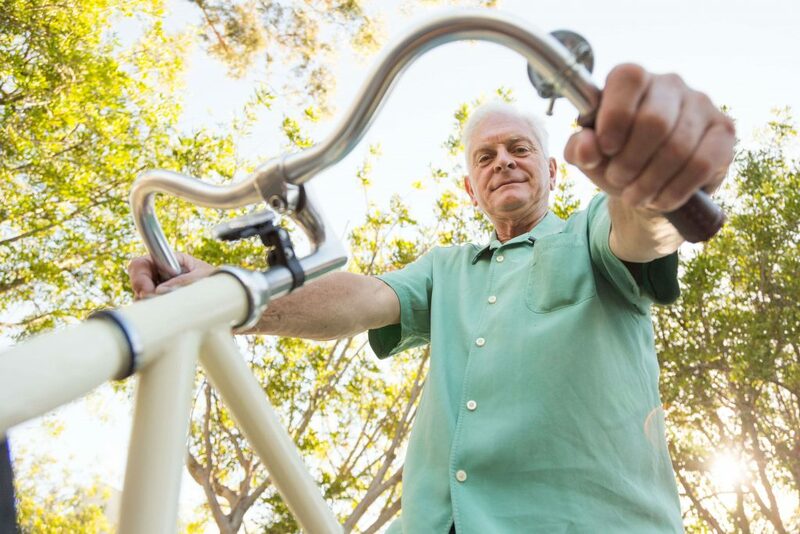 Additionally cyclists had 46% lower risk of developing heart disease and a 45% lower risk of developing cancer at all. So cycling wins the dance when it comes to you’re logistical commute to work. A 41% lower risk of dying overall compared to commuting by car or public transport. We like those odds! 3/ How to learn to ride a bicycle without an instructor? If you have a cycling club available it’s recommended that you speak with them and ask if they offer bike riding lessons for beginners. Often you can head down to one of their weekly race events where they’ll offer beginner training. Locally here in Melbourne, St Kilda Cycling Club, offer something called “Latte Laps” where you can ride around a car-free road and get advice from an expert. Other recommendations would be to watch YouTube clips and make sure when you’re learning the craft, you’ve got a soft surface to land on – perhaps at a local park – and there’s someone that can get you out of trouble if need be. 4 / Is it illegal to ride a bike on the footpath? Once again this varies from state to state and fines range $50 – $200 where penalties apply. In Victoria and NSW children under the age of 12 are allowed to ride on the footpath and adults accompanying the children under the age of 12. Australia Post workers and anyone with a medical certificate can also ride on the footpath. Unless, of course, there is signage which strictly prohibits bike riding in a specific area. All other states and territories – NT, SA, QLD, WA, TAS & ACT – it is perfectly legal for people of all ages to ride on the footpath, provided there is no signage strictly providing bike riding. Here’s an example from the WA Govt. For bike riders from all states it is important to keep in mind that when you share the footpath with people, you need to obey basic rules and use common sense. These include keeping left unless overtaking, giving way to pedestrians at all times (including people on on devices such as skateboards and roller blades), and traveling in single file when riding in groups. 5/ Can bike riders ride two abreast? Finally, we have some commonality in a laws across Australia when it comes to these commonly asked Google questions. Yes, cyclists across Australia are legally allowed to ride two abreast, although the laws and commentary surrounding where you cannot, appear to be vauge. VicRoads is reminding all road users that cyclists are legally allowed to ride in pairs side by side on most roads, a formation with several safety benefits. What do they mean by “most roads”, and why don’t they link to or provide examples of where you cannot? Under an existing road rule, cyclists can ride two abreast in any traffic lane on single and multi-lane roads, providing they maintain not more than a 1.5m distance between each other’s bicycle. 1.5 metre distance is MASSIVE! Our suggestion at Bike Chaser would be to ride as close to shoulder-to-shoulder you can manage, without feeling unsafe. 6/ Can you lose weight with cycling? / How long do you have to ride a bike to lose weight? 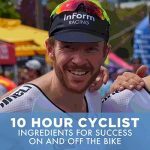 You can even check out a Bike Chaser article How to Get Ripped Quick, which was centred around riding a bike to lose weight. What I believe many people may really be asking is – is cycling a good mechanism to lose weight in comparison to other activities. Working as a personal trainer in the past and seeing clients lose weight using different methods, I’d have to say running is the ultimate weight burner. For example, if you took a road bike out and rode at an average speed of 28 kms per hour, you would burn roughly 650 calories. If you went for a run for the same period, you would burn 755 calories jogging at a light 8km per hour and a massive 1074 calories per hour if you could run at 13 km. The other consideration with cycling for losing weight is that it’s very leg focused, so your ability to get lean around some of your core and upper areas is more difficult with cycling, than say running or going to the gym, where you work muscles more intensely throughout the entire body. The mandatory helmet law is one of the most contentious topics here in Australia. The logical question should be asked – do we have the infrastructure and cycle friendly culture to be safe without? 7/ Is it against the law to ride a bike without a helmet? Yes, it’s against the law across all states of Australia. 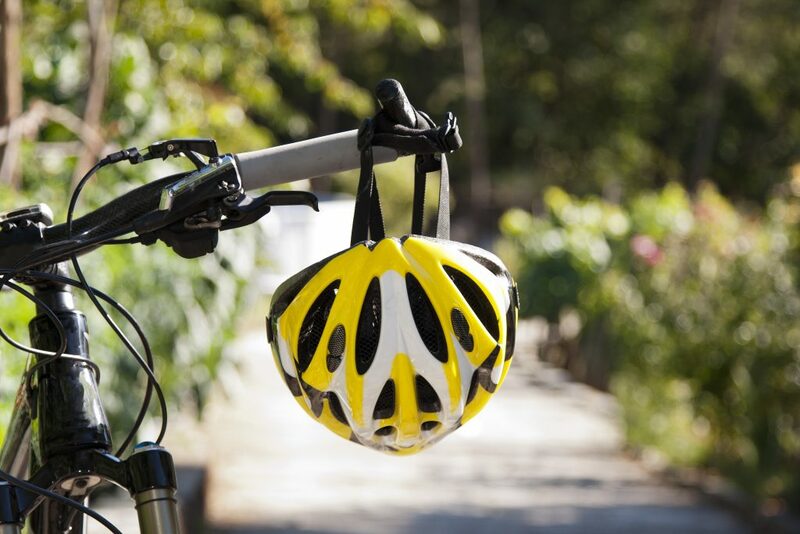 Statistics say that wearing a helmet properly can reduce serious head injury by up to 70%. With cycling infrastructure in Australia considered to be poor in comparison to leading countries – such as the Netherlands and Denmark – and road rage towards cyclists a cultural issue we don’t seem to be eroding, wearing a helmet is not only a legal requirement, it’s probably a smart move. 8/ Is it bad for bikes to be in the rain? With todays common bike materials – aluminium and carbon fidre – and the quality of paint jobs, riding a bike in the rain is A-OK. Please keep in mind that rain acts as an adhesive and debris will stick to your bike, and in particular, your chain. If you do decide to ride in the rain we would recommend that you hose your bike and chain after a ride in the rain. This literally takes a couple of minutes. Then take an old towel, wipe the bike down, and add some lubricant to the chain before your next ride. 9/ How do you ride a bike with a dog? It is recommended by animal experts that if you’re riding a bike with a dog that is sub 11 kgs you should probably consider a dog basket. If the dog is fit/energetic and over 11 kgs there is a process that is recommended to get your dog familiar with the bike before you take it out for a ride. 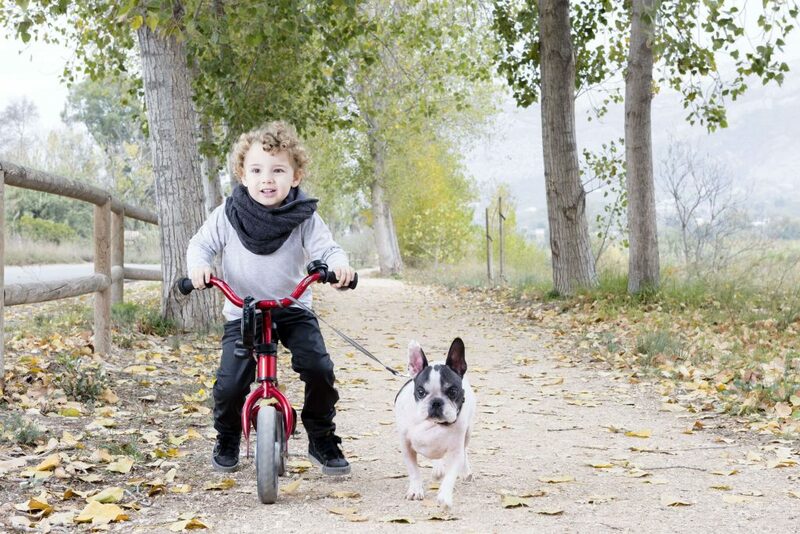 Start by bringing the dog around the bicycle first with their normal leash. The use of treats is suggested and positive praise to keep them motivated. Turn the crank and also spin the wheels so they can become familiar with the sounds and movements of a bicycle. If only riding a bike with a dog was always cute and cool as these two pictured. There’s actually a fair amount of training involved to get your dog behaving like this. Once you feel they’re ready to go, speciality leashes for bikes are recommended to ensure you have agility with the leash, when and if required. 10/ How can you ride a backwards bike? A popular search that appears to be driven by a viral YouTube video created by Destin Sandlin who started a seriers called “Smarter Everyday” – an educational series to improve peoples smarts. The purpose of the backwards bike is to gauge whether you can free your brain from a cognitive bias. The experiment hinges on a bike specially designed to veer right when you turn the handlebars left, and left when you turn the handlebars right. Not sure we have a good answer for this one, but good luck! Is it legal to ride with dog on leash? I didn’t think it was.. 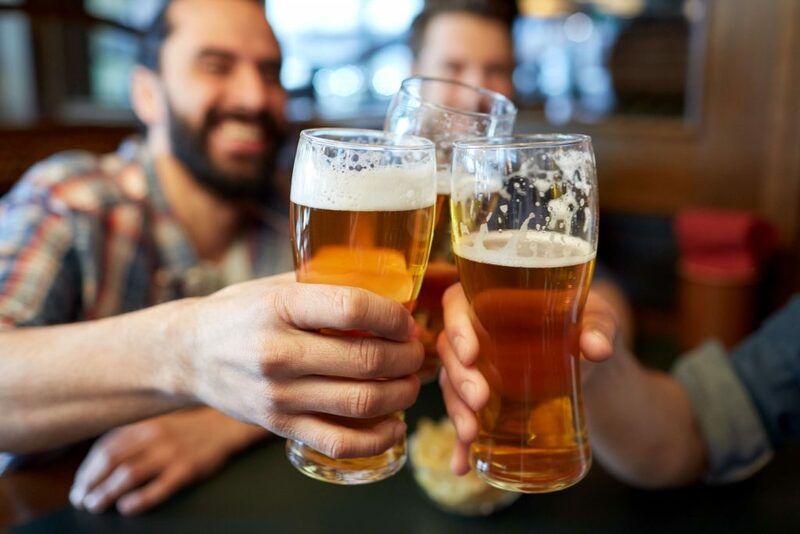 The rules around drunk driving are largely to stop drivers hurting other road users – it makes sense for penalties for cyclists drunk driving to be pretty low giving the damage you can cause on a bike is relatively minor. You want to discourage them from putting themselves in harm’s way, but that’s about it.